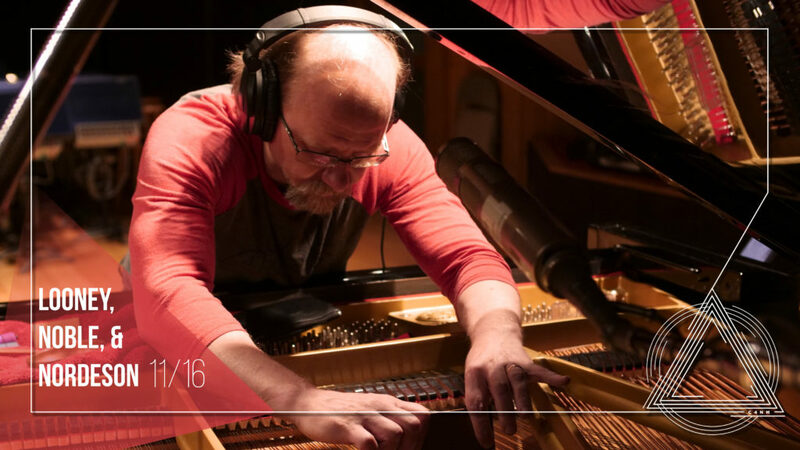 Piano stalwart Scott R. Looney comes out of the woodwork playing duos and a trio grouping with friends old and new. Scott has been playing with percussionist Kjell Nordeson off and on for well over a decade, frequently in groupings featuring ex-local bassist Damon Smith, but with a variety of sax players. This time they’ll be in a duo format, a very rare occurrence, allowing both players to really stretch out and communicate telepathically at light speed. Joseph Noble has been doing interesting creative ensemble work with the ensembles Cloud Shepherd and Ouroburos, but has only recently started playing with Scott. New meetings often unearth interesting interactions, and this new grouping has its own special quality of melodic and timbral exploration that should be experienced as well. Both groupings will be playing a mixture of compositions and improvisations.